Frangipani (Plumeria rubra) is a tropical plant that needs warmth, humidity and plenty of sunshine to grow. These flowers, also known as Hawaiian lei flowers, grow in the Pacific Islands, Hawaii, the Caribbean, South America and Mexico. In colder areas, it is possible to grow the flowers indoors, but you must get the conditions just right. A Frangipani needs warmth and sunshine to grow. Plant frangipani in a 6-inch pot with drainage holes. Frangipani will outgrow this pot, but do well there as a seedling. Fill the pot with quick-draining potting soil to support the plant. Plant frangipani seedlings deeply enough that the entire root ball is covered. Put the frangipani in a place where it receives six to eight hours of sun or bright light every day. Although frangipani can grow in shade, it does better in sun, with a temperature of at least 65 degrees F every day. Water frangipani with 1 inch of water every week. Always allow the soil to dry before you water again; frangipani needs warmth, but does not need excessive watering. Never allow the plants to sit in water. 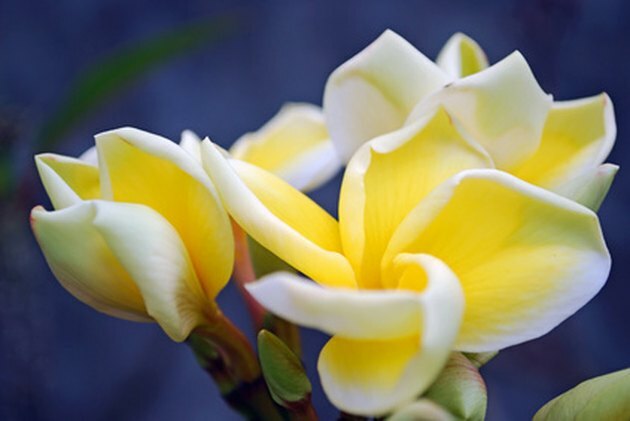 Fertilize frangipani once every summer with liquid fish and seaweed fertilizer to give the plant nitrogen, phosphorous and potash for growing. 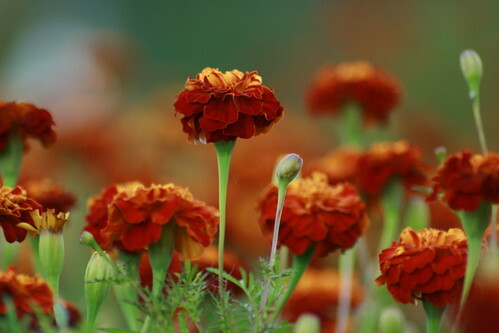 Always follow manufacturer directions in regard to quantity and application of fertilizer. Carrie Terry has worked in publishing for more than 15 years. In 2008, she opened a publishing house, acquiring and editing manuscripts, bringing books to market, running marketing campaigns and supervising cover/art direction. Terry holds a Bachelor of Science in English from UCLA.